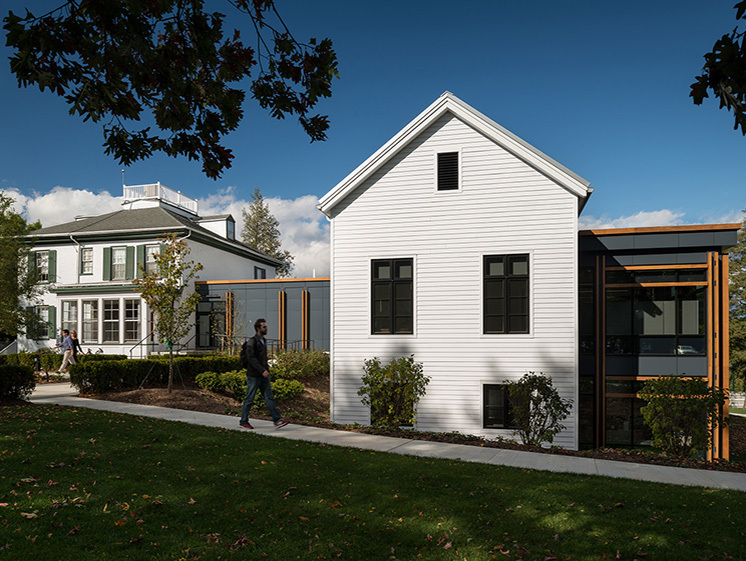 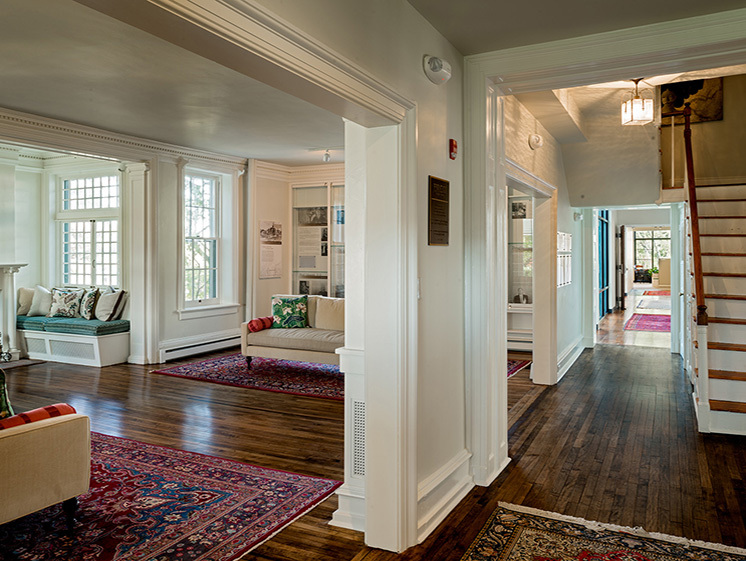 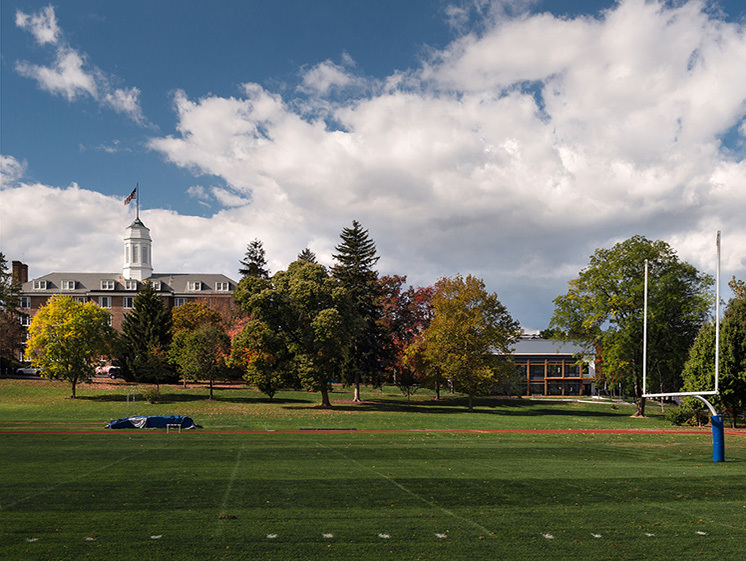 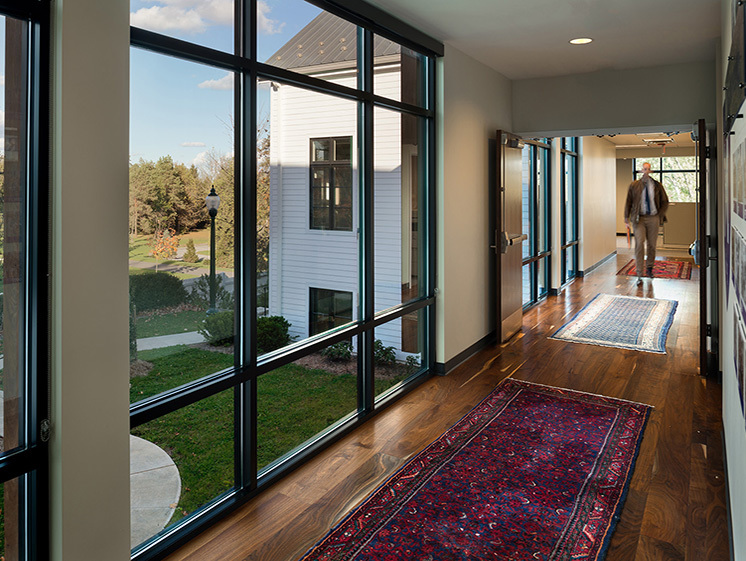 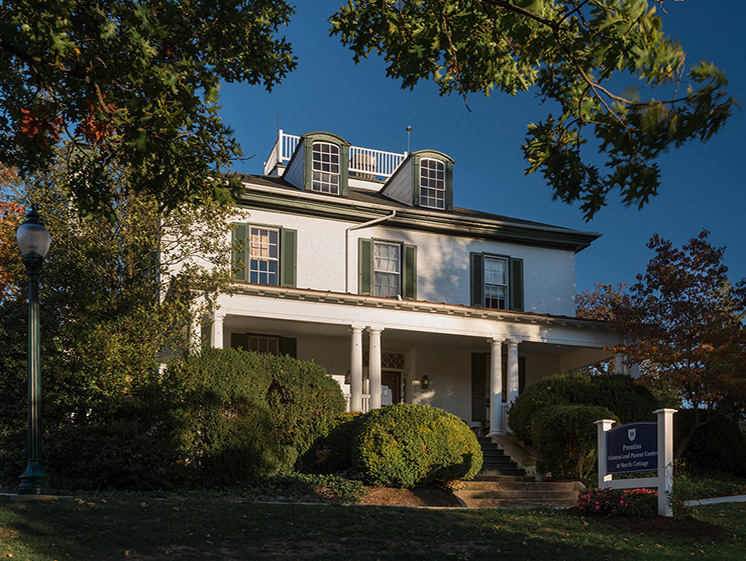 The residentially scaled project is the combination of a renovation to and addition of an existing white brick 1930’s American Foursquare style house with classical ornament, once the Head of School's residence. 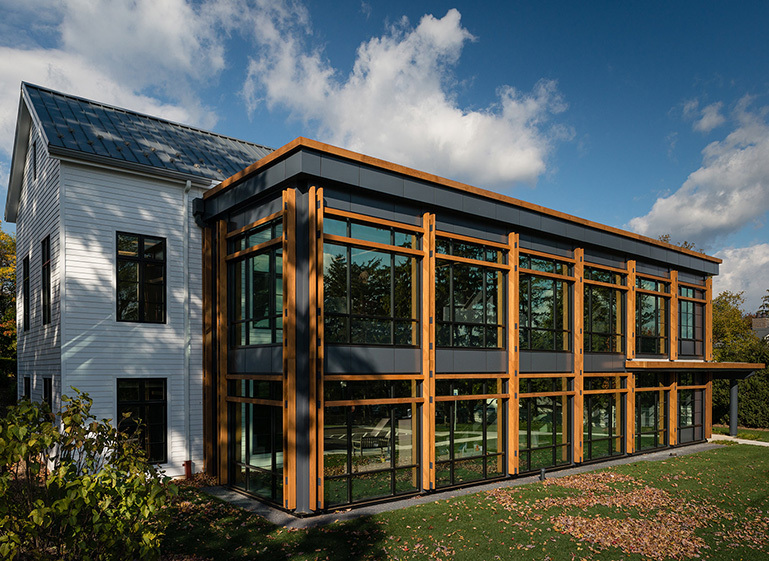 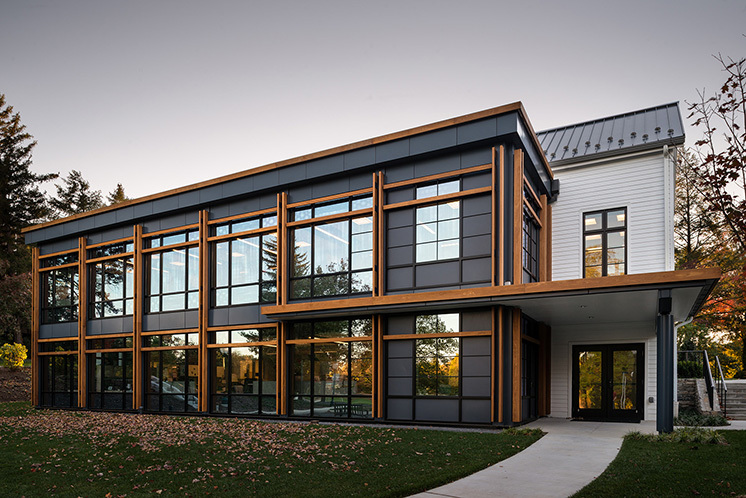 The multi-use project roughly doubled the size of the original 6,000 sf residence. 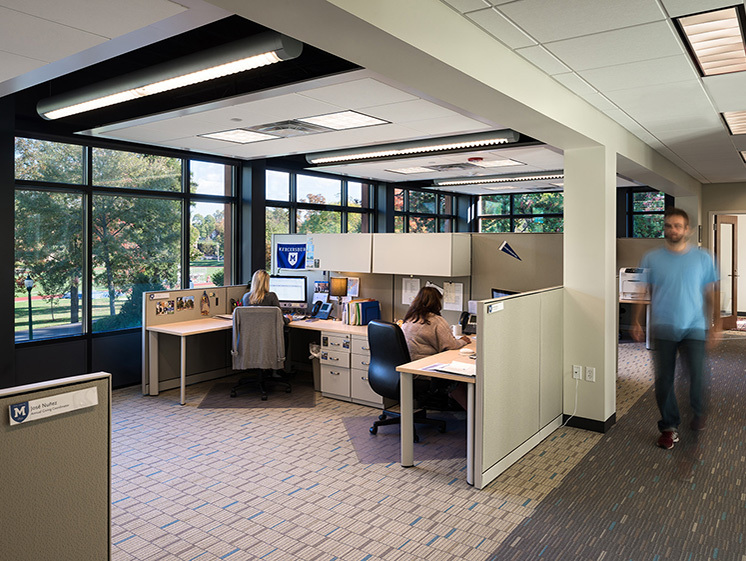 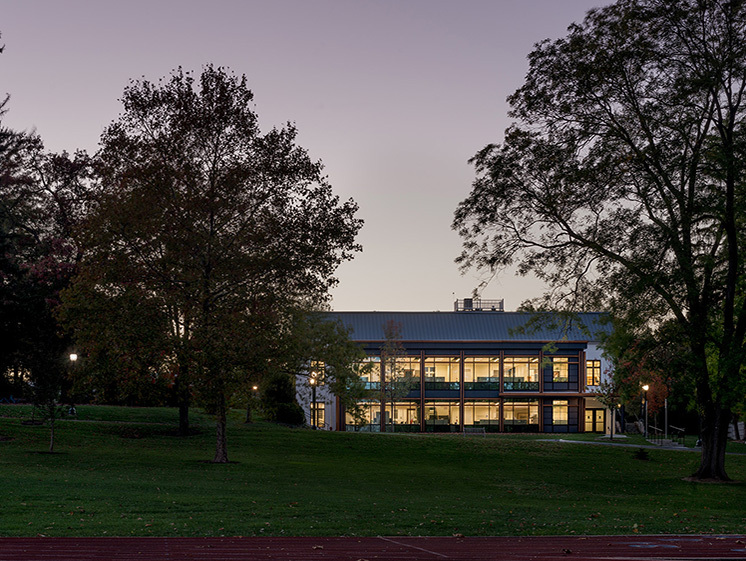 The Center’s program includes enclosed offices and open work stations for Alumni and Development Departments, multi-purpose gathering, dining, and meeting spaces on the main floor, overnight guest rooms for visiting alumni, and a 1,450 sf outdoor terrace for receptions and events.